Absolute zero difference, infinite homogeneity, in any qualia cannot exist. a) Absolute infinity cannot exist simply because by definition more can always be added. Here we would have a litte difference which is similar to the difference we have relating to the nothingness. Because of that definitions both beginning and ending of the universe are also impossible. No, my answer was, is, and will be: maybe. But okay, that is not relevant here. So maybe you can tell a little bit more about absolute zero and infinite homogeneity. Do you remember that I told you I am also sceptic? Due to the fact that the money economy, also known as monetarism or finance, is too much in line with energetic resources, we would have a very much better economy, if it were more in line with knowledge, wisdom, information than with energetic resources. Another point is the relation of production and reproduction. All fertility rates have to be almost equal, and after that (not before and during that) the rich and the poor will also become more equal, not equal - because that is impossible -, but relaitively equal. That is a fair deal. Else the result will be: Stone Age or even extinction! But the more the machines are successful the more the human beings are threatened with extinction. So we have three great modern human errors or mistakes: 1.) the disproportionate and thus wrong/false input of machines; 2.) the disproportionate and thus wrong/false demographic policy (population policy); 3.) the disproportionate and thus wrong/false concentration on energetic resources (instead of knowledge, wisdom, information) by the money economy. Actually the liberals say everyone is free, which is impossible, and the egalitarians say all are equal, which is also impossible. So they have to find a synthesis, if they don't want to constantly fight aginst each other; and the fact that they have found one is the reason for the fact that they say the thesis (everyone is free) and the antithesis (all are equal) together. Hyperbolism, hedonism, utilitarianism, individualism and all the other nihilisms are those problems, which became as much bigger as the attempt to control them in order to prevent chaos, anarchy, and - last but not least - overthrow, downfall. It's a vicious circle. So a solution of the three great modern human errors or mistakes seems to be impossible: 1.) the disproportionate and thus wrong/false input of machines; 2.) the disproportionate and thus wrong/false demographic policy (population policy); 3.) the disproportionate and thus wrong/false concentration on energetic resources (instead of knowledge, wisdom, information) by the money economy. No one wants to take responsibility! »No-thing might be equal to Some-thing«, »Not-A ?= A« is to blatantly doubt the simplest logic. Without confidence in logic, a mind has no choice but to believe only in its direct perception or in whatever it has been programmed to believe. There is no other escape from mis-perception or programming. That is how human drones are made. Logic is the only freedom from programming. And dealing with drones on the internet takes a whole, whole lot and generally isn't very pleasant with dubious results. What makes you think that I doubt the logic? That's not true! When someone says to me, he believes in - for example - nirvana because it exists, then I would probably say maybe you are right, I don't know. That's all. It doesn't matter whether believing in nirvana is false or true because I don't know whether it is false or true, and it doesn't matter as well what I believe in that case. That's all. That is no doubting the logic! I am interested in your ontology, James. But I can't promise in advance that I believe in your ontology because I don't know it in any detail. It is the same reason why I have been being interested in your ontology and why you now misunderstand me. I am not saying that »no-thing« is »some-thing«, but I am saying, if we - the human beings - are not able to perceive and understand our world (universe, multiverse, ... or whatever), then we shouldn't always say that we know our world. That's all what I am saying. If I were saying different stuff then it would be more probable being not interested in your ontology. I am open for philosophising. You too? So I have to be open for rational and irrational stuff like a mathematician because he can merely then work rationally with irrational numbers, if he is open for irrationality. What you are saying about me (indirectly) in your last post is not true. I merely want to reserve a right. That's all. It has nothing to do with your ontology. And I have told you that repeatedly. So you know that. I don't understand why you are now responding in that way? We two are pretty similar spirits, James. So why should I doubt the simplest logic? If I did, you would do it as well. My interest in logic began probably when I began to think. Was it still in the uterus? I can't remember my time in my mother's uterus, but I know that I began to think very early, to be interested in logic. I know that, but I think that James doesn't know that. At least James' reaction indicates that he doesn't really know that we are on the same page. What James is critisising is not important for what we are talking about: his ontology. My skepticism does not refer to logic - James has completely misunderstood that -, but my skepticism refers to something else: to the arrogance of human beings, who believe in omniscience. The real scientist knows and says that there is no possibility for omniscience, and if it were, it would be no science but religion. Our science is already partly a religion. I have no interest in helping it to become more religious. Most of the current scientists are so corrupt, that the word scientist is not the right word for them and their profession. They are saying what the rulers want them to say - and that has nothing to do with science, but very much with religion, with being obedient to ideology as modern religion. One is saying part of the argument while the other is bringing the counter and both become necessary. There should be a balance between doubt and confidence in everything you do to ensure that you are learning as much as possible and continue to push your self to constantly be sure of what is possible and what is not and to keep checking your work in case you were wrong. All of our conversations here are meaningless when you get right down to it as we're only sharing information that any one of us could acquire and bring out through our subconscious connections to conscious communications. Realistically, we'll never prove any bit of this beyond a shadow of a doubt; not the way that many would want us to. It's like if a person believes in God and they're talking to someone who doesn't; they have to try and explain why they believe in God. At some point, proof is asked for that can't be given and the person has to revise their statement to 'Well, I can't say for sure if God exists or not'; if they're smart; but they still know that God exists, as does every single person even though they may doubt it from time to time. We will never prove God, because that isn't how it works. We shouldn't have to prove God and it shouldn't be our lifes passion. God proves himself to each of us over time regardless of how many people refuse to acknowledge the seeming coincidental ways he reaches us and the prayers he answers; ignoring those things because they are so easily ignored and unprovable; but everyone still knows. What do you mean with James' fear? »Without confidence in logic, a mind has no choice but to believe only in its direct perception or in whatever it has been programmed to believe. There is no other escape from mis-perception or programming. That is how human drones are made. Logic is the only freedom from programming. And dealing with drones on the internet takes a whole, whole lot and generally isn't very pleasant with dubious results. But logic isn't all there is. He is right, one should have confidence, but there will always be doubt and should always be doubt. It's not confidence in logic that's the problem. People feel perfectly comfortable with their logic when they decide to believe what they believe however blindly. Their logic guides them to trust the seemingly better logic of others. To have logic complete, one must take into account emotion and every other bit of faulty programming to override it, which means there is every point in talking about everything that isn't already believed because the programming has yet to update. Logic is the only freedom from programming? Logic is part of the programming; so there is still no freedom. The very argument is based in fear of some sort or another; troubles and emotions stirring that have probably been repressed; whereas you show yours openly even while still being afraid because he's seemingly arguing against you because his thoughts are slightly off-kilter. I meant the omniscience of the people in general. My skepticism refers to the arrogance of human beings, who believe in omniscience. Because of the fact that I have told that to James repeatedly, he has known it since then and not since the time of this post (**|**). We dont know what the nothingness exactly is, so we also dont know whether the nothingness exists or not, but we can think the nothingness, so the thought of nothingness is in our mind, and for that reason we cant say that we know nothingness doesn't exist, but we have to say that we don't know, whether nothingness exists or not. So we must consider the irrationality and not give up the rationality. Nothing of the rationality, logic. Nothing! We should do what mathematicians do! It has been proposed that such »maybe be« true. If that is the case, then the very essence of logic is doubtful, »not-A ?= A«. If one doubts that not-A is NOT-A, then nothing said changes anything. No confidence can be gained from anything. And in a state of no-confidence, rational decisions cannot be made and the person becomes nothing as well (which seems to be the intent driving such thoughts). RM is solely about finding what it is that one CAN have 100% confidence in. Any fool can doubt all things for all of their short lives. That has nothing to do with what I am (or even we are) talking about, James. We can agree with each other that doubt and doubtlessness can coexist. I dont have to doubt that nothingness exists or that nothingness does not exist. Terms like Not-A = A or 2+2=4 are a lttle bit different from terms like nothingness = part of existence (special case) or 0 = part of the numbers (special case). Nothingness is a special case. One can compare it with the number 0 (it is a part of the realm called whole numbers and [either] not [or sometimes even also!] a part of the realm called natural numbers). Both natural numbers and whole numbers belong to the realm called rational numbers. I agree completely as far as the Physical Particle is concerned but not completely with the explanation of the Communal particle. A communal particle or community does not necessarily has an enemy to survive. Theoritally, it can survive without it also, though cannot expand. That does not correspond to what life experience teaches. Life experience teaches that an enemy is necessary to survive. (Compare all living beings.) If a living being, especially a human being, survives without an enemy, there is no expanding, as you rightly suggested, and if there is no expanding, then in the long run (in the long run!) there is no life anymore. In the long run living groups (for example: packs, prides), especially human groups (for example: tribes, communes) decline and die out, if they have no enemy. They die out because of too much energy, wealth, hedonism, individualism and other nihilisms, and one of them is the ism of having no enemy, world peace, universal peace ... and so on. Due to the fact that the money economy, also known as monetarism or finance, is too much in line with energetic resources we would have a very much better economy, if it were more in line with knowledge, wisdom, information than with energetic resources. Willpower does not mean will to power. Willpower means a kind of power, namely a power of will, but will to power means a kind of will, namely a will which tends to power. So both willpower and will to power are more different than many people think. No. Nietzsche said the world is will to power and nothing aside. I didn't say anything about a child, but about groups of those living beings (including human beings) who survive or not survive in the long run - in the long run! Therefore I marked that term already in my last post. A child in the long run is no child anymore. In the long run a child is already an adult. A child is no adult. Children need protection, so they don't need an enemy, except when they play adult roles, but that's merely a play. Life, especially life in groups (for example: tribes, communes) - and I merely spoke of groups in my last post (**|**) -, needs an enemy in the long run. Without an enemy groups can't survive in the long run. Your conclusion, which is a result of a complex comparison, is false. Notice the term in the long run which means for a person about 30 years and more, and for a group (for example: a tribe, a commune) - and I merely spoke of groups in my last post (**|**) - about 100 years and more. Here in this thread we are talking about the communal particle (title of this thread), not about a person, not to mention a child. A life of one person lasts about 80 years (on average), a childish life lasts about 14 to 16 years (on average) - that's too less when it comes to the long run of a group (for example: a tribe, a commune): about 100 years and more. In addition: children need protection, and if they are not protected, they die (in the most cases of living beings) or become diseased. And pleace notice that an enemy for a living being doesn't necessarily always be another living being. Forces of nature are often also experienced as enemies. And not seldom they are challenges in order to form and justify cultures (compare the theory of Arnold Joseph Toynbee). 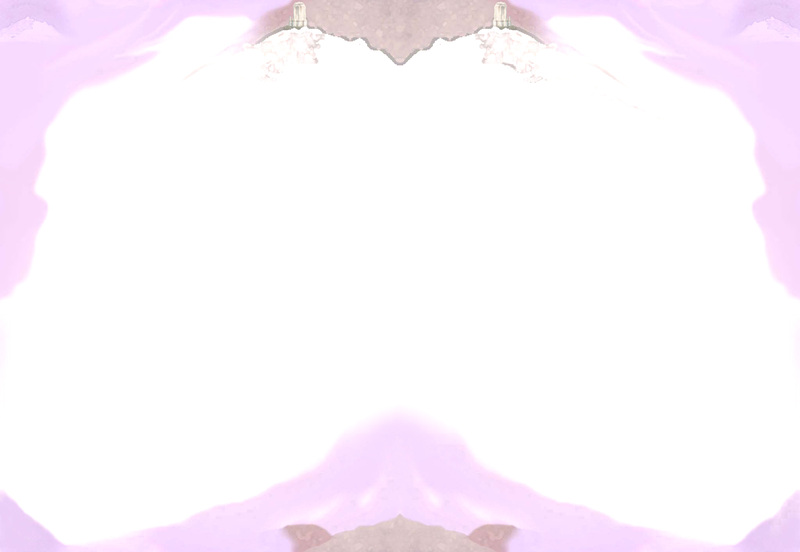 Whatever psychology is (do you know what psyche really is? [Compare the Ancient Greek mythology! ]), it is no science of children - a science of children has to incorporate all realms of science (because of the complexity) - and it merely shows statistics, manipulated data, manipulated information, mainstream statements, political correctness, thus the ideology of the rulers. I am not very much interested in ideology (modern religion). James, I have been knowing your ontology for a long time, but I don't know all of its details. So if I want to know more about the details of your ontology, I have to ask you by coming from outside of your ontology or by playing a role, for eaxmple the uninformed informer (I didn't play that role) or so. The first problem we two got was the word existence. Many philosophers, especially the existence philosophers, have been being very engaged in the word existence. However, existence is a word. How came the meaning of something like the word nothingness into the mind of the early human beings? Because of the meaning of something like the word existence? Or was it reverse? It was because of something like the word existence. Human beings perceive, notice, make experience with their ambience, environment; they become more intelligent by using more words and thoughts and by improvements and reforms of the older experiences with their ambience, environment; it is a spiralic development. Linguistically something (!?!) like nothing or even nothingness has been derived from something like existence in the early times of human beings. So now we can also derive existence from nothingness? But should we do that? What does a mathematician do with the word nothingness? Mathematically nothingness is 0. But do mathematicians say that 0 is not a number because it is nothing? No, they do not. 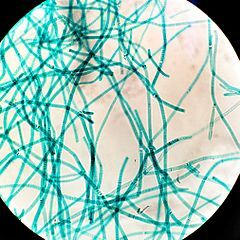 Probably it is an spiralic ellipse, in any case a spiralic (spiral-cyclic) development. What could be the singularity you mentioned? The word thus means something like the word consequently. The disproportion between: (1.) machines and humans to the disadvantage of humans; (2.) population of poor and population of rich countries to the disadvantage of about 99% of all humans; (3.) energetic resources and other resources to the disadvantage of non-energetic resources. That is what is meant by the three great modern human errors or mistakes: (1.) the disproportionate and thus wrong/false input of machines; (2.) the disproportionate and thus wrong/false demographic policy (population policy); (3.) the disproportionate and thus wrong/false concentration on energetic resources (instead of knowledge, wisdom, information) by the money economy. In the long run that will lead to something like a suicide of all humans. A more fair distribution can follow then (and only then! ), if those three great modern human errors or mistakes have been disappeared or at least demagnified. Else the unfair distribution remains, the unfairness increases exponentially. We have to correct the three great modern human errors or mistakes (=> 1., 2., 3.). We must slow down. The subset A could be your ontology. The set B could be all ontologies. 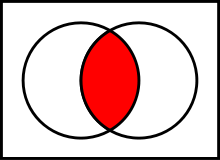 The intersecting (red) betwen two sets could be the common definition of existence of two different ontologies. It could also be the common definition of nothingness of two different ontologies. It could also be the number 0 between the positive numbers and the negative numbers. Does your »nothingness« have affect upon anything? That's not my nothingness because I have not any. We can think the nothingness, so it is possible that nothingness exists. But I don't say that it exists or that it doesn't exist. In that case I am as agnostic as a scientist. Why is there this huge disproportion between (1.) machines and humans to the disadvantage of humans, (2.) population of poor and population of rich countries to the disadvantage of about 99% of all humans, (3.) energetic resources and other resources to the disadvantage of non-energetic resources? The first impression may be that there is no disadvantage of humans (=> 1. ), of about 99% of all humans (=> 2. ), of non-enegertic resources (=> 3. ), but is that really true? The paradox is that the past, present, and some of the future advantages will change to disadvantages in the (long run) future. So we can interpret this advantages as short advantages, or as pretended advantages, or even as disadvantages because the prize is too high, and the prize has to be paid by all humans: the probable extinction of the humans because of a very short moment of wealth for very few generations of the humans! So if we want to keep wealth, we have to correct the three great modern human errors or mistakes (=> 1., 2., 3.). The only alternative to that correction is the extinction of all humans. We must take another direction and slow down. That is why one must choose his language and stick with it. Do not use one language if the other person is using the same words for a different language. What language is chosen is arbitrary as long as all parties agree to use the same meanings for the associated words. Be consistent. And a language is merely an arbitrary set of chosen definitions. No, that's the English language in a philosophy dictionary. 1. The condition or quality of being nothing; nonexistence. 2. Empty space; a void. 3. Lack of consequence; insignificance. 1. Something that logically or naturally follows from an action or condition. See Synonyms at effect. 2. The relation of a result to its cause. That's okay, if the language convention is accepted, and it is accepted. Does your 'nothingness' have affect upon anything? That was a joke! My correct answer is: I don't know whether it is my nothingness or not. I am not saying that, but I am saying:I don't know whether nothingness represents something that I believe exists and yet has no affect, and therefore I can say: Maybe or maybe not that nothingness represents something that I believe exists and yet has no affect. Everyone should reproduce himself / herself one time in his / her life, so that the reproduction rate could be always about 1, the fertilitiy rate always about 2 children per woman. If he / she doesn't want a child, that should be no problem anyway because he / she would have to pay for his / her desire - a so called management of reproduction, or management of children, or management of family would adopt the task having one child per one adult person. Anf if one person wants to have more than one, or a couple (two persons) more than two children, he / she / they would have to pay for that desire. In short: the reproduction rate would always be about 1, the fertility rate always about 2. We know that fertility and prosperity (wealth) correlate with each other (b.t.w. : also with intelligence). So where the fertility is too high you can be sure that there is poverty and vice versa. Politicians have no idea or just don't want (corrupion etc.) to change anything in that way that fertility can control prosperity (wealth): the current politicians and other so called experts (they are no experts at all) want the prosperity (wealth) to control the fertility, but that doesn't work in the long run. In the long run the result is always poverty of all or about 99%, if prosperity (wealth) is wanted to control the fertility. Prosperity (wealth) produces infertilitiy, especially of those who work very much, but also of those who are very much self-centered (cp. individualism, bad egocentrism), and at last of all or almost all. First of all one has to underline the term in the long run. In the long run it is possible that machines replace all human beings - the probability is about 80%, I estimate (**|**|**|**|**|**|**|**|**|**|**|**|**|**). That is wrong / false because it leads probably (see above: 80%) to the replacement of all human beings, and if, not (20%), to poverty of all or at least 99% of all human beings, to dullness, and to other badnesses. Yes, but that is not what I am talking about (see above and my thread Will machines completely replace all human beings? [**|**]). The probability that machines will replace all human beings is too high (80% - as I estimate; see above), and if they will not replace all human beings (20% - as I estimate; see above), the probability of poverty, dullness, and other badnesses is too high (99% - as I estimate). The first impression may be that there is no disadvantage of humans (=> 1. ), of about 99% of all humans (=> 2. ), of non-enegertic resources (=> 3. ), but is that really true? The paradox is that the past, present, and some of the future advantages will change to disadvantages in the (long run) future. So we can call this advantages as short advantages, or as pretended advantages, or even as disadvantages because the prize is to high, and the prize has to be paid by all humans: the probable extinction of the humans because of a very short moment of wealth for very few generations of the humans! Besides the special cases: no. Are you sure that monotheism ... is decaying (**) ? And if yes: why are you sure that monotheism ... is decaying? Okay, that's internet. Internet is agreement or disagreement, but nothing else. Who cares? But where is your argument, your counter argument? The proof you mentioned will follow. But okay: maybe there is no proof, what is your proof then? There is no counter proof. Hedonism and monotheism. Okay. And what is your real statement? The infinite homogeneity and something which is infinitely identical are not the same. Is there a little misunderstanding? If so, then please excuse me. If not, then please excuse me. The distinction between homogeneity and identity. That's right. You said identical, and I said identity. You used the adjective, and I used the noun (substantive). 7 : 1 in Brazil. Germany 7 : Brazil 1. 3 goals in 3 minutes, 4 goals in 6 minutes, 5 goals in 18 minutes .... Great! The affectance is not infinitely identical in all locations of the universe because if something is homogeneous it does not mean that it is identical. 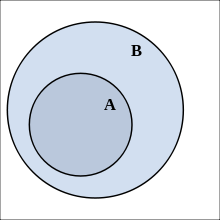 If you have the phenomenons A and B, then A can be homogeneous or similar to B, but not identical to B (because A can merely be identical to A). In German the words (der/die/das)selbe and (der/die/das) gleiche stand for the English word (the) same, but the former means identical, same in an identical way, and the latter means homgeneous, equal, similar, same in a homogeneous way. Yes, especially the poor, but also the rich. So it would help all to become richer. But the rulers would not agree with that because they would not become as fast richer as they now do, although they would become richer too, but not in the same fast way as now. So this solution is not wanted by the most powerful 1% (possibly on the way to become a new human species). The problem is not, that it would not work - it would work very well -, but the problem is that no one wants to be responsible for such a policy. For the rulers and the politicians it is easier to control the population by continuing their policy of lies, cants, double moral standards, simulation and so on. Those who have to be responsible are not responsible at all. So the irresponsibility continues - meanwhile the shear between rich and poor increases exponentially. Interestingly, you are now »taking my words«. Yes, multi-money is the way to go wherein there are different kinds of money that can only be used for specific purposes. It would be a bit like food stamp cards that can't be used for other things, but not so particular as that. Those are what all money by EACH person should be used for. And the objective is to keep the three balanced, never too much of one, else the entire group is lost. So spend money to gain awareness. Spend money to gain understanding. And spend money to gain influence. But keep them proportional, never more influence that awareness or understanding. And which currencies do you suggest? All hail to the Holy Word of Sciencism!! Yes, it is unbelievable how religious science has become. According to my theory and also because of that fact I often say that ideologies are modern religions. Therefore it is not surprising to me that this has happened and happens an will happen (until the time when science will be no science anymore, but to 100% the new religion, probably worldwide). Once every Westerner thougt religion was replaced by science, in the future every Westerner or even every human being will think the reverse. Thank you. I don't know George Gilder. But information theory and economics can be brought together also in that sence I do. What I do is quite similar to that what Peter Mersch does. Do you know Peter Mersch? Huh? That makes no sense. Reducing the number of children in a family means more resources are freed up to be spent on other things--even for the rich--and somehow by freeing up these resource, the rich end up getting richer more slowly? And this slowing of getting richer happens only for the rich? Huh? That makes very much sense. I think you have not understood what I said. Then you disagree (see above: That makes no sense.), although I did not change my statements. The conclusion can be that e.g. (a) you have misundsertood me, or (b) you fear the power of the 1%, or you, or (c) you want to attack me personally (ad hominem), if so, then this would largely adjoin off-topic. I am not interested in off-topic posts! Some corporations (companies, organisations or however you may call them) are already so rich / powerful that each of those corporations has a property / power which is more than the gross national product of France or Italy. Maybe you don't know what that really means. In the mentioned case it is a question of the dimensions, circumstances, and time. If 99% become richer, then the 1% becomes not necessarily poorer, but with the utmost probability also richer, although not so much and not so fast as before because the richness of that 1% depends on the poorness of those 99%. Have you never heard of the fact that the scissors between rich and poor are expoentially widening? I believe that you are misinterpreting the English. When I say, »the two things are identical«, I mean that there are two separate things that have all of the same properties and to the same degree. I do not mean that the two things are one and the same thing (»same identity«). I know the meaning of the English identical, but in this case I interpreted it as self (selbst in German because the German word identisch and the English word identical have exactly the same meaning and can be interpreted as self and as same), although I know that it also can be interpreted as same (for example: of two or more things). But you shouldn't change the word identical because in the English language it is not possible to have one of those two meanings in merely one word. It is possible in the German language but not in the English language. In English one has always to decide whether x or y is meant (because both can be meant), in German one can use the word selbig or selbst (cp. the English self, although it can't be used in this way) for the meaning of x, and the word gleich (cp. the English same, although it is used in both ways) for the meaning of y. Whereas x means same of one thing and y means same of two things or of one thing, if it has changed very much (cp. the ship of Theseus). Well, that being the case, I think that in German, I mean "gleich" referring to each thing having the very same properties and to the same degree as each other = »homogeneous«. Because the potential-to-affect is not identical anywhere. You mean what is preventing the potential-to-affect from being identical anywhere? According to your RM:AO existence is that which has affect, and an affect can only derive from the potential-to-affect (to alter or to change), PtA, of another separate or distinguished affect. Absolute zero difference, infinite homogeneity, in any qualia cannot exist. Absolute infinity cannot exist simply because by definition more can always be added. Absolute zero is merely one divided by absolute infinity and thus cannot exist either. Due to the above, in all adjacent locations, the potential for affect cannot be infinitely identical. Do you really don't know the answer? Can you divide an rectangle, by a square-circle? Yes, that's right. I am not certain. And that has very much to do with absolute zero is ... one divided by absolute infinity! (See below). When I read your text I knew that your ontology is based on definitional logic, ontology, metaphysics, RM:AO. Logic dictates that they are the same thing. They don't »derive it«, it is a matter of definitions. Absolute greatness and absolute smallness are inverse concepts. Mathematically represented by a »division«. I have discovered it. But I accepted it because I was not certain about my answer to your question due to your statement absolute zero is ... one divided by absolute infinity. (See above). »If every infinitesimal deviates by absolutely zero from its predecessor, then the accumulative deviation is still zero. Absolute infinity cannot logically exist physically nor conceptually, »you can always add 1«. For the exact same reason, absolute zero cannot exist physically nor conceptually... for qualities. Absolute infinity is a conceptual impossibility. 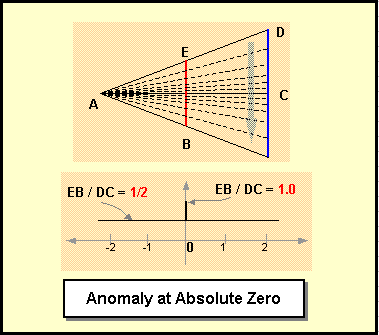 Absolute zero is exactly equal to 1 / (absolute infinity) = an irrational concept. One can have absolutely zero of a quantity. But one cannot have absolutely zero of a quality. Potential, such as an electric potential, is a quality, not a quantity. The reason that math runs across problems with infinite and infinitesimal concerns is that math is all about quantities, and only partially applicable to qualities (good for quantitative estimations). Quantum physics is the ontology of a quantized reality and is a logically broken ontology, but that doesn't mean that it isn't useful for many kinds of quantitative estimations of reality. Classical physics was about qualitative reality, but at that time made the understandable error of including »rigid bodies«, quantitative entities. So Classical physics was a logically broken ontology also. Rational Metaphysics: Affectance Ontology has no quantitative entities... no fixed quantities, including »absolute zero«. Even the things that I refer to as »points in space« can only logically exist as a changing of location, infinitesimal smears. RM:AO wrote: An afflate is a small formless portion of a totally pure ever changing, ever yielding substance (Affectance). Actual things such as particles can only emerge due to such constant and chaotic giving up of influence, not taking such as to maintain anything. Affectance is »bitless«, void of individuality within. It merely varies in degree of pure changing potential. I might add that value is an issue of quality, not quantity. And thus Value Ontology must remain quantitiless, else also be logically invalid, aka »broken ontology, BO«. 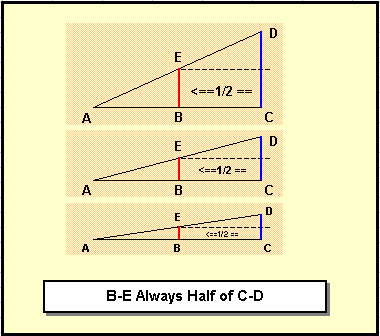 In that pic, you can see that the distance from B to E is always going to be half of the distance from C to D. No matter how tall the triangle is, B-E must always be 1/2 of C-D. The entire time DC is being reduced, EB remains at exactly 1/2. But somehow, magically at exactly absolute zero the number suddenly changes for that single point. Either the distance EB instantly becomes exactly equal to DC or, defying logic, EB is only half of absolute zero. Either case is irrational. In professional mathematics, the term »0/n« is undefined and the term »n/0« is indeterminate. Neither case makes rational sense. That's not a problem of geometry, but of number theory and of the most mathematical branches, and therefore of mathematics at all anyway. I think that the small »trick« you mentioned has been overlooked for so long because of the attention only on the definitional logic, ontology, metaphysics, RM:AO. Yes, I am famiiar with the pardoxes of Zenon the Eleate (b.t.w. : there is another Zenon, who lived about one century later: Zenon the Stoic). The pardoxes of Zenon of Elea are a set of philosophical problems, for example: Achilleus and the Tortoise and Arrow paradox. Distance is a qualia that is infinitely divisible. If you look at the distance between yourself and the doorway and realize that you would have to get half way to the door before you could get to 3/4 distance before you got to 5/8th before you got to 11/16th before ... ..., you could never get to the doorway. Thus there can never be absolute zero distance between you and the door, because absolute zero doesn't exist ... unless you resolve Zeno's paradox. Yes, and I already understand that affectance cannot be reduced to zero for the same reason when I read your fundamentals of your RM:AO for the first time - and b.t.w. : that was the reason why I didn't mention the mathematical, but only the definional-logical aspect (your ontology is based on definional logic). But why doesn't it apply to the reduction of Affectance? The error of the paradox Achilleus and the Tortoise is the failure to recognize the fact that the only mathematically infinite divisibility of a line or a length of time does not mean anything against their concrete finiteness. In the case of affectance this must be different by defintion. Absolute zero difference, infinite homogeneity, in any qualia cannot exist. Absolute infinity cannot exist simply because by definition more can always be added. Absolute zero is merely one divided by absolute infinity and thus cannot exist either. So by definition absolute zero cant exist. The concrete line and time length of the paradox Achilleus and the Tortoise is finite, although the mathematical divisibility is infinte. Therefore it is a paradox. But according to RM:AO the concrete line and time length of the universe is infinite. That's the difference between the paradox Achilleus and the Tortoise and the definitional logic of your RM:AO. You know that Peter Mersch writes in German? That's interesting. Maybe he also writes in English. I don't know. Try to google his name. Another source are my posts here in this forum. But beware, trolls are everywhere (did you notice the rime?) and only they decide what makes sense and what makes no sense in this forum! Joining information theory and economy makes sense (not for trolls, but for us), but I don't think that everyone who calles himself an information theoretician or an economist is really an information theoretician or an economist. I don't know George Gilder. Maybe you can describe that man a little bit. Actually, H.G. Wells introduced the term back in 1940, The New World Order. But are they really conspiracy theorists then and not merely theorists? Have you raed H. G. Well's book The New World Order, James? 1) in the imagination, such as an average or the non-existence of a mentally defined object. Yes, and what the most people you asked overlooked was the mathematical aspect (=> 2) because they were too much engaged in your RM:AO, in metaphysics, in ontology, in definitional logic ..., and therefore they overlooked and afterwards didn't mention the mathematical aspect. To have infinite homogeneity or infinite similarity, there must be infinite similarity between every point in the universe. Using a Cartesian system, there are 3/4 * Pi * infinity^6 points in the entire universe. To have absolutely zero affectance in the universe (zero existence) would require that all of those points be infinitely similar. If we assign an affectance value of X to a point in space, every other point must be exactly equal to X. Each point has the possibility of being anywhere from 0 to infinite in its value. So the possibility of another point being that same X is 1/infinity. »1/infinity« is one infinitesimal, »0+«, not zero. So the possibility of merely two points being exactly similar still isn't zero. So at this point, we can't say that there is no possibility of the universe being infinitely homogeneous. P = 0+^2, an infinitely smaller possibility of the 3 points being exactly similar... but still not exactly zero. P = 0+^(3/4 * Pi * infinity^6 - 1), an infinitely, unimaginably smaller possibility than before ... but still not exactly zero. P = 0+^(3/4 * Pi * infinity^9 - 1), an infinitely, unimaginably smaller possibility than before... but still not exactly zero. P = 0+^(3/4 * Pi * infinity^n - 1), where "n" can be anything. But as long as n is any number, the possibility will still not be absolutely zero. And the truth is that n can be all but »absolute infinity«. So, let's limit n to »the largest possible number« and call it »Largest«. P = 0+^(3/4 * Pi * infinity^Largest - 1), as the possibility of all points being exactly similar. But how can we have infinity raised to the Largest possible number without it being larger than the Largest possible? It is an impossible number. So what we have deduced is that in order to get the possibility of all points in the universe having exactly similar affect value there must be a number that is larger than the Largest possible. And there isn't one. Thats well known, James - it has to do with mathematics for a 14 to 16 year old pupil. But please don't forget: mathematical impossibility and physical impossibility are not always the same, are not always consistent. What is mathematically possible does not always have to be also possible in reality, and what is possible in reality does not always have to be also mathematical possible. Now I have to go to in a few miles distant place to see the final football match of the FIFA World Cup: Germany - Argentina. My tip: 3 - 0. And no, I never read the book. Inaugurated as one of them. What do you think about my tip and about those films you mentioned (**), James? In in the next hours you cant reach me by posting. I will be back later, perhaps tomorrow.